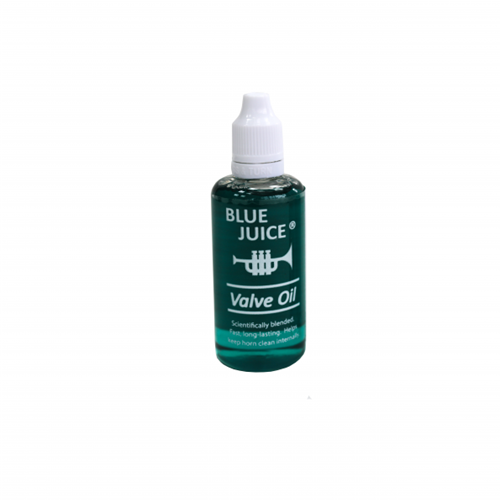 Blue Juice Valve Oil 2oz Blue Juice Valve Oil is a light, fast, refined petroleum product that’s especially effective on close-tolerance musical instrument valves. What distinguishes Blue Juice valve oil-aside from its distinctive blue coloring-is that it delivers an anti-corrosion agent for extra protection. 2 oz.